That means your Jaguar is protected 365 days a year, 24 hours a day, 7 days a week! What does that mean for you? Peace of mind! 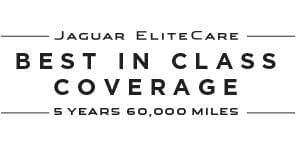 Let the Jaguar experts at Jaguar Colorado Springs tell you all about EliteCare. We have a great selection of Jaguar models for you to choose from. Visit Jaguar Colorado Springs today!